The Emerging Technologies Conference (EMiT) “examines how to best take advantage of the changing landscape of computing hardware” for scientific computing applications like CFD. [Sounds similar to the need cited in the CFD Vision 2030 Study.] Their next event will be 2-3 June 2016 in Barcelona. Abstracts are due 22 January. If you’ve ever wondered how to implement a particle in cell code on an unstructured mesh, here’s your answer. Enjoy this video montage of 30 years of Femap. Engineering.com writes about the automated meshing in Mentor Graphics’ FloEFD. Meshing improvements are also coming to SolidWorks Flow Simulation 2016 as reported by Engineers Rule. CFD and automotive aerodynamics: the Vorsteiner Novara Huracan. 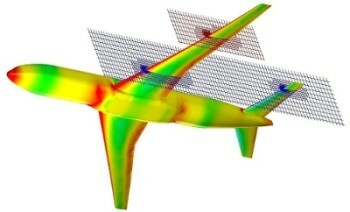 Example of a multi-level uniform mesh around an aircraft from FloEFD. Image from Engineering.com. See link above. Also, it’s fascinating [facet-nating?] to me how often grid and fluid motifs appear in contemporary art and design. One can argue that our digital culture is being reflected in the former. Finally, I suppose a source of the question I began with has something to do with my preference for abstract versus representational art. I’ll remind you that if representation was the goal of art, photography would’ve killed painting long ago and sculpture would’ve killed photography. I’ve also made the point before that abstraction is nothing new to engineers; we deal with abstractions every day at work. After all, CFD is just an abstraction of real fluid motion. Maria Fernanda Cardoso, Woven Water: Submarine Landscape, 1994. 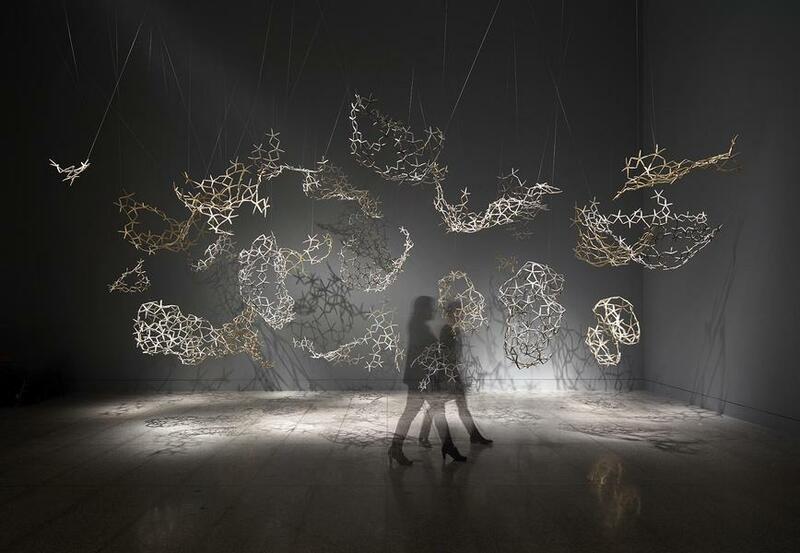 Image from MFAH.org. This entry was posted in Applications, Events, News, Software and tagged Femap, FloEFD, SolidWorks. Bookmark the permalink.